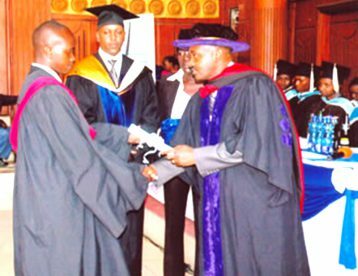 Each year Kenya Institute of Social Work conducts a graduation for all those who have excelled in various certificate and Diploma programmes. 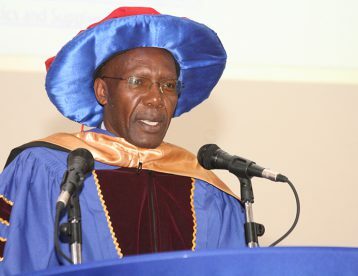 The following is a photo gallery for the past graduation ceremonies. 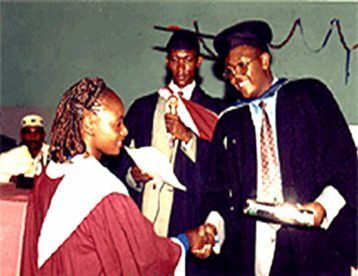 Mr. Felix Ndoi awards a Diploma to a graduand in Community Health during the 1st graduation ceremony Venue: Nairobi Railways Club in 2000. Venue: City Hall in 2001. Mr. Okaka the Director Technical Training representing the Hon. 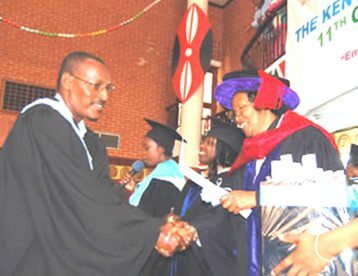 Gideon Ndambuki presents a Diploma in Community Development to a graduand during the 3rd graduation ceremony. Venue: City Hall Nairobi in 2002. 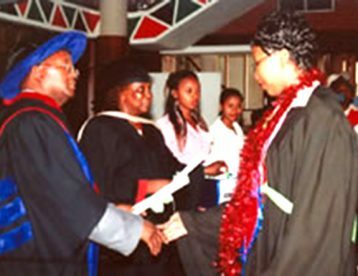 Venue: Nairobi Railways Club in 2004. 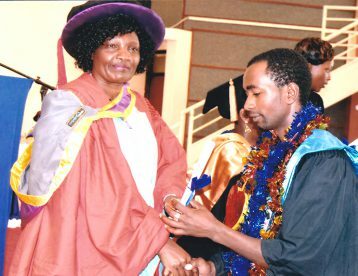 Prof. Wabuke Bibi Dean of Faculty Kenya Methodist University presents a Diploma to a student in Disaster Management during the 6th graduation ceremony. Venue: Nairobi Railways Club in 2005. Venue: Nairobi Railways Club in 2006. 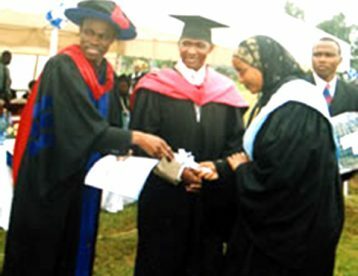 Dr. PLO Lumumba presents a diploma to a graduand in Social Work and Welfare during the 8th graduation ceremony. Venue: Nairobi Railways Club in 15th September 2007. Venue: City Hall Nairobi in September 2008. 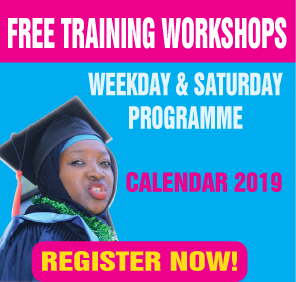 Venue: City Hall Nairobi in Saturday 19th September 2009. 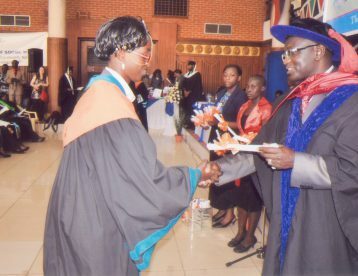 The Chief guest Dr. Ekuru Aukot awarding a certificate to a graduand during the 13th Graduation ceremony. H.E. 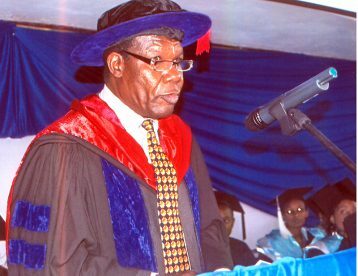 Ezekiel Nibigira, Burudian Ambassador in Kenya, addressing the graduands during the 14th Graduation Ceremony. Hon. 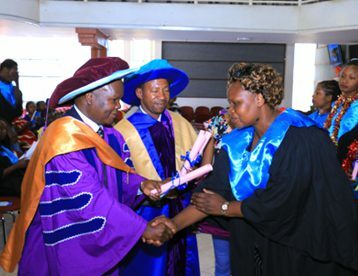 Andelina N. Mwau, Deputy Governor, Governmnet of Makueni County; presents a Diploma to a graduand in Community Health and Development during the 15th graduation ceremony. Mr. David Kang’ethe, Country Director – Danish Refugee Council, addressing the graduands during the 16th Graduation Ceremony. 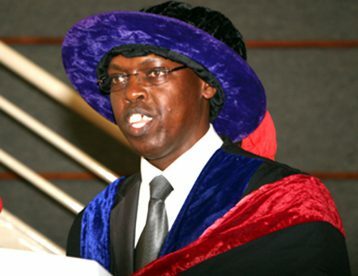 Mr. Eric Kimani MBS, Chairman – Palmhouse Foundation, addressing the graduands during the 17th Graduation Ceremony. Venue: St. Andrew’s Hall – Nairobi, Saturday 16th September 2016. 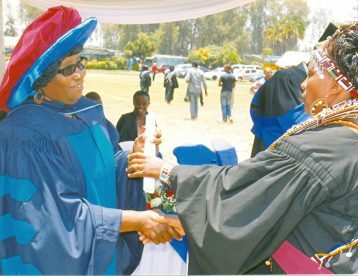 Dr. Beatrice Ombaka, Director Karatina University, Nairobi Campus, addressing the graduands during the 18th Graduation Ceremony. 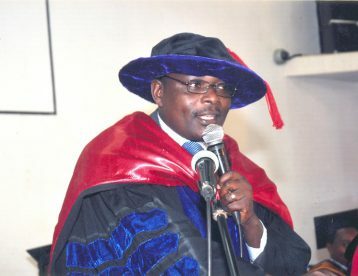 Prof. Charles Nzioka, Chairman, Department of Sociology and Social Work, University of Nairobi, Nairobi Campus, awarding a certificate to a graduand during the 19th Graduation Ceremony.